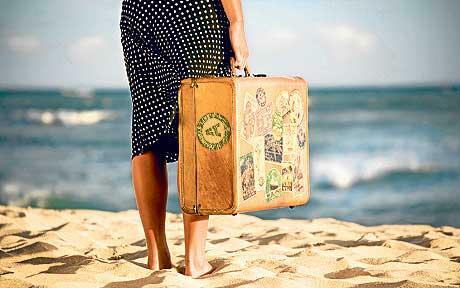 Around 13 million Brits head abroad every year to enjoy a well-deserved holiday during July and August. Although holiday prices in countries such Spain and Portugal have dropped dramatically, cash-strapped Brits are still having to tighten their belts throughout the year in order to afford the annual summer holiday. For those in the know there are ways to find summer holiday deals, and all it takes is a little research and a certain amount of perseverance. The first step is to choose the destination you wish to visit, set the amount you can afford to spend and then use the tips below to obtain the lowest price you can for your holiday. Around 66% of us will now go the extra mile and shop around for the best prices before booking a summer holiday and this should bring cost-saving results. The holiday business is very competitive and different holiday companies will sell the same holiday for different prices so it makes sense to obtain holiday quotes from different agents. One of the golden rules when it comes to obtaining fantastic bargain holidays is to either book well in advance or to wait until the last minute to grab the late deals; you can save hundreds of pounds by doing either. This rule applies across the board whether you are booking a package holiday, all inclusive or booking your flights and accommodation separately. However, if you do want to save money and have more choice in your accommodation options then early booking is the best bet. Do not be afraid to haggle with a holiday company whether you are speaking to an agent on the phone or face to face. If you have undertaken your research and can show that another holiday company is offering the same holiday for less than an agent may decide to undercut the price further. The big brand travel agents are the best bets for haggling especially for package holidays; their representatives need to sell holidays in order to make that all-important commission and it’s a major reason why holiday companies are so competitive – this is all about sales. There’s no doubt that the internet has become the place to find the best bargains and this includes summer holidays. The savings that can be made by booking flights and hotels independently online are very significant. Internet-only hotel companies have fewer overheads than the high street agents and you can take your time and spend months researching and tailoring your perfect cut-price holiday. The rules regarding early or late bookings also apply when it comes to booking flights and holidays online. If you are booking flights only and have a flexible schedule then midweek flights and flights that avoid peak hours are the best bet in order to save additional money. It’s also a good point to remember that there are many online hotel booking companies and many of them are selling the same hotel rooms, villas and apartments but usually at different prices. If you can spare the research time then check out the same accommodation for the same nights through the big online hotel bookers. It will only take an hour or so at your computer and the price savings can be significant. Many online hotel agents will have special offers such as free nights in a hotel if you book for a certain number of nights. If you register with an online hotel company they will send discount vouchers throughout the year, by post and by email, giving 10% or more off hotel costs. Keep an eye out for these special offers as they can save a lot of money from the total cost of booking a hotel and remember to check for special discount codes available online for the company you are booking with. Remember, you can choose to book directly through the hotel’s own website and cut out the holiday agent just as you can choose to book your holiday accommodation through private villa or apartment owners who advertise online. Always, always book ahead of time. Look for packages and deals months before your planned travel date and you will surely find a lot of difference with the price. And as much as we can, we avoid travel agencies and also contact the hotel or any accommodation directly.